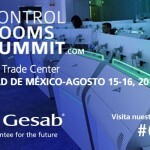 After several years already installed in Mexico, GESAB has become a leading company in technical furniture for monitoring centers, control and decision rooms, and a reference in the customization and adaptation to the requirements of each client with an innovative product and high quality, both in design and in the premium materials used, as well as excellent service that makes a clear differentiation in the market. 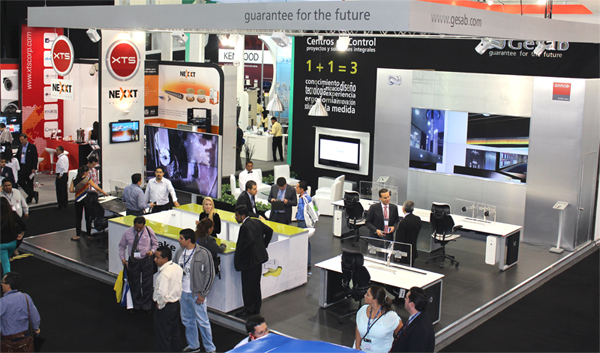 This recognition is reflected in the large number of visits received in our booth at Expo Seguridad Mexico Tradeshow, responding to the high expectations created around our brand and products. 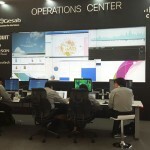 In an edition where the most optimistic forecasts of assistance have been overwhelmed, GESAB booth has been a continuous passage visitor where the activity has not stopped in any of the three days of the fair. 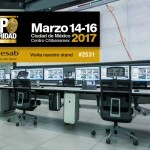 Attendees were able to see in situ the control consoles most advanced in the market, in the exclusive design and creativity applied for 24×7 environments to be more efficient and safer. Thus, both Advantis NG, its Sit & Stand mode and the revolutionary ADN +, conquered the visitors not only for its elegant and subtle design, but by the quality of engineering applied to its development, thus obtaining perfect ergonomics that combines perfectly with maximum connectivity and optimal cable management. Fundamental aspects to have everything under total control. 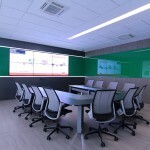 But GESAB proposal went further, and along with its line of consoles for monitoring centers and control and decision rooms, also showed his other proposals such as display systems, videowall and LCDwall, technical furniture for audiovisual and immersive telepresence rooms. A clear indication of the innovative philosophy of GESAB, always focused on meeting any customer need .